Five Star Autocentre has registered their copyright with Copyright House. Our success has been built on one simple premise: we do the job well and we save our customers money. We can do this because our overheads are lower, our costs are lower and our processes are better – so we can do things faster. This means lower bills for all our customers. We have over 40 years of combined automotive staff experience. As Investors in People company, we care about our staff and they care about the service they give to customers. Importantly, we are still a family firm – the founding director Mr Ali, is still involved very much in the day-to-day running – which means that we can deliver the kind of personal service that you rarely encounter in the impersonal world of modern business. 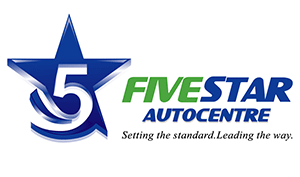 Five Star Autocentre. Winner “Business of the Year” at Huddersfield business awards. 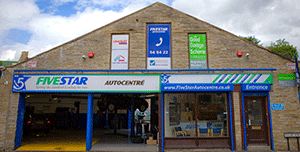 An award winning garage in Huddersfield offers you a new and better way to maintain your car. Whatever the size of your car, Five Star Autocentre based in Huddersfield can offer you a first-class service at a fraction of the price you’re currently paying to a main dealer – without invalidating your warranty. With no hidden extras our all inclusive fixed price servicing options are available to suit any pocket. You’re probably used to using a main dealer for your servicing. That’s a safe option but an expensive one. We can offer all the benefits of a main dealer operation – skilled mechanics, the latest diagnostic equipment and original manufacturers’ components – but without the huge mark-ups and sky-high hourly rates. The result? A first-class service that will save you money. A lot of money. We offer a comprehensive range of services to provide you with complete cover. 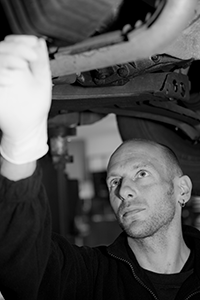 We are able to provide a full range of services including MOT testing, servicing, brakes, clutches, tyres, exhausts, timing belt, diagnostics and air conditioning servicing. 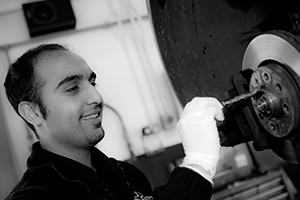 We are proud to be associated as a Premier Unipart Car Care Centre forming a network of over 1,300 independent garages. We provide a unique nationwide 12 month/12,000 mile warranty on parts and labour. We are committed to giving you best value. We will not tell you something needs doing when it doesn’t. That’s the principle on which we have become successful and we are confident that once you try us, you will not be disappointed. We commit to setting the standard and leading the way. All of our marketing material including / DL door to door leaflets/ coasters/ MOT reminder letters and all others are registered with Copyright House.